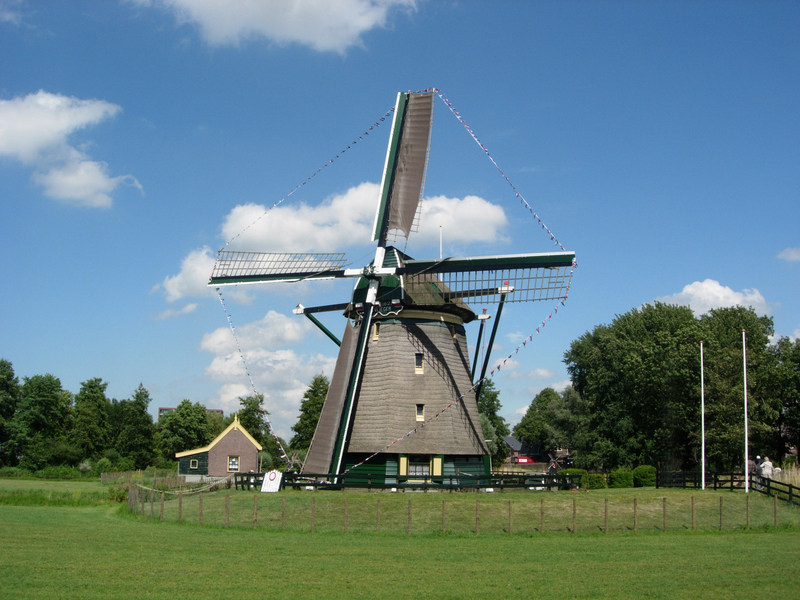 De Vlieger Windmill is a polder mill, built in 1621 to drain the Veen- en Binckhorst polder. With its scoop wheel, measuring more than 5 metres in diameter, it can drain up to a metre of water from the polder. Nowadays, however, the polder is drained by an electrically driven pumping station elsewhere in Voorburg. De Vlieger Windmill is still fully operational, though, and runs regularly. 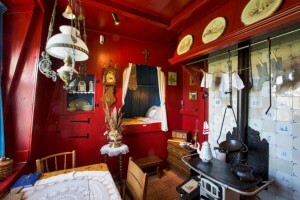 The windmill has been transformed into a museum. The living room on the ground floor still looks much like it did in 1900, when the miller’s family lived there. It includes a cupboard bed and a fireplace from that period. On the first floor, there are maps and pictures showing information about the polder, water management and the production of peat. You can also learn more about the different types of industry mills and their products. From the landing you can see how the large vertical axle of the mill transfers the motion of the sails to the horizontal axle of the scoop wheel. The second floor houses models of different types of windmills, two of which can actually operate. There is also a shelter which was used in the Second World War. On the top floor you can see the cap through which the axle of the sails runs. 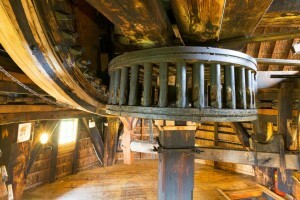 The cap can turn on wooden wheels, allowing the miller to set the sails according to the wind direction. 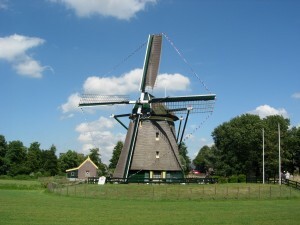 The windmill was moved to its present location in 1989. Before then it stood about a kilometre to the southwest, but there it was surrounded by buildings, making it difficult for the mill to catch enough wind to operate. It now stands in a more open polder landscape, near a children’s petting farm. 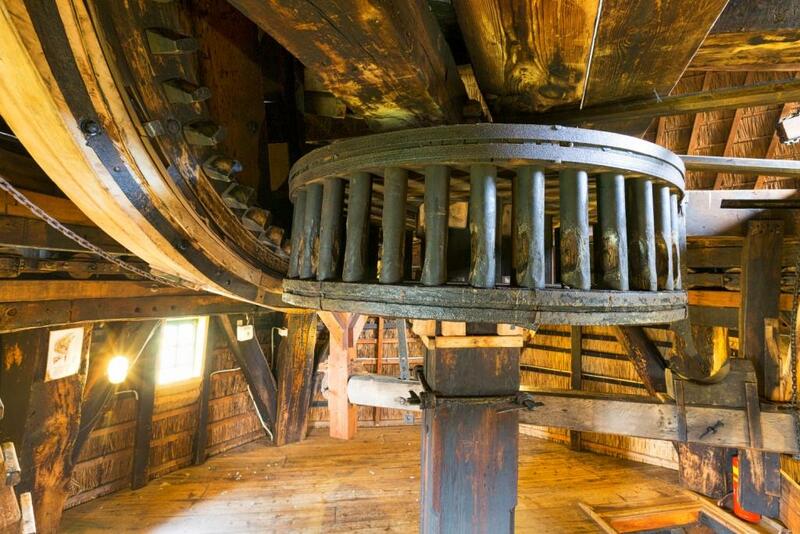 De Vlieger Windmill is open to visitors from 1 April to 31 October on Wednesday and Saturday afternoons from 13.30 to 16.30. Admission is €3 for adults and €1 for children, and visitors are shown round the mill by the miller or one of the volunteer guides. Groups may contact the miller, Bram Zonderop (tel. +31 (0)70 369 43 72), to make an appointment. The address is Essepad 3, 2272 JS Voorburg. The mill is easy to reach, both by car and by public transport (see Map ). There is plenty of space to park. It is a 10-minute walk from the Leidschendam-Voorburg tram stop (tram number 3 or 4 (RandstadRail) from The Hague central railway station). Buses 45 and 46 stop at the same location as the trams.